A modern design, high quality of light, efficient performance and reliable functionality? Simple operation, low maintenance complexity, intelligent light control, a future-fit luminaire concept, state-of-the-art technology and ready for integrating smart solutions beyond light? 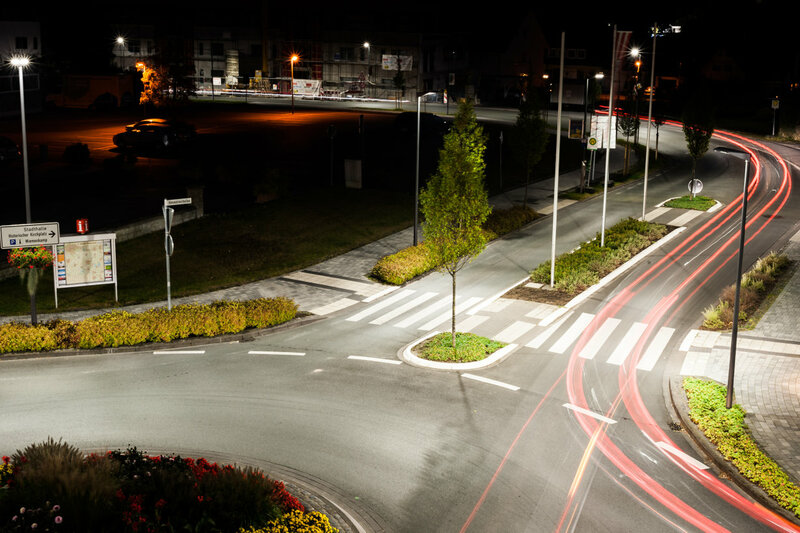 A new road luminaire in the form of Streetlight 11 is on the way to already fulfilling the complete bandwidth of light requirements in modern towns and cities – as well as in tomorrow's smart cities. The reasons: today's towns and cities spend 40% of their electricity costs just for lighting, and we all know: Europe can only achieve its climate protection and sustainability targets if communities and the industrial sector consistently improve their energy efficiency. High pressure discharge lamps have two major disadvantages: their spherical light emission and their size. Approximately 50% of the emitted light is usually not deflected by a reflector. This on the one hand causes the typical “bright spots” below the luminaires, and on the other creates unevenly distributed light between the luminaires, the so-called dark zones. High levels of visual comfort without safety gaps are only achieved with uniform illumination. The high-definition reflectors of Streetlight 11 mainly illuminate the areas between the luminaires. The result – homogenous illumination that is impossible with high pressure discharge lamps. 70% of all people will live in cities up to 2050. Modern, networked infrastructures are indispensable for the success of future towns and cities. These range from intelligent traffic control and wide-area public internet to open data communication systems. Modern road lighting is an essential element in the future "hardware" of the city. How individual scenarios will be depends on future technical developments, the specific urban context and other factors.Today though it is a matter of creating modular, expandable platforms that can grow with future requirements.